Product prices and availability are accurate as of 2019-03-30 21:42:47 EDT and are subject to change. Any price and availability information displayed on http://www.amazon.com/ at the time of purchase will apply to the purchase of this product. Replacement part for pedestal type sump pumps. Use with replacement float rod #135267 & replacement stop #KH43. 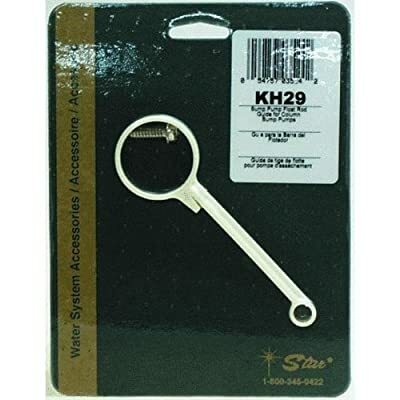 Sump pump float rod guide Replacement part for pedestal type sump pumps Use with replacement float rod #135267 & replacement stop #KH43 Made in USA. Sump pump float rod guide Replacement part for pedestal type sump pumps Use with replacement float rod #135267 & replacement stop #KH43 Made in USA.